Strip-N-Flash™ is a 1-mm (40-mil) thick membrane consisting of a 0.8-mm (32-mil) self adhering rubberized asphalt laminated to an 0.2-mm (8-mil) high density polyethylene (PE) film. A silicone release liner prevents the product from sticking to itself in the roll. The factory-controlled quality assures uniform thickness on the job and the name Strip-N-Flash™ assures an excellent water barrier. 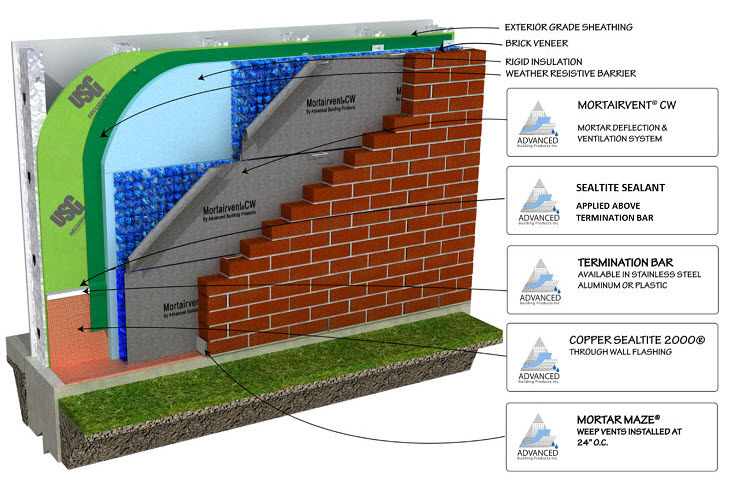 Strip-N-Flash® thru-wall membrane is designed to provide moisture protection in a cavity wall application. Its self-adhesive nature allows easy installation on concrete, masonry, gypsum, steel, and wood substrates. 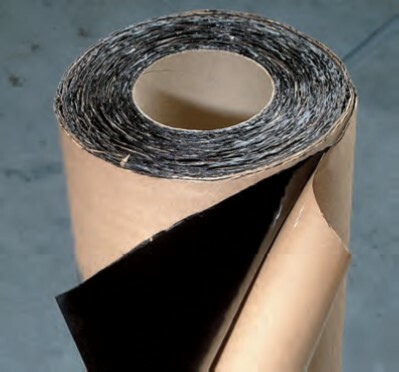 The inherent durability of the extra strength 0.2-mm (8-mil) cross-laminated PE film resists mechanical damage and ensures the integrity of the rubberized asphalt waterproofing membrane during subsequent wall construction. 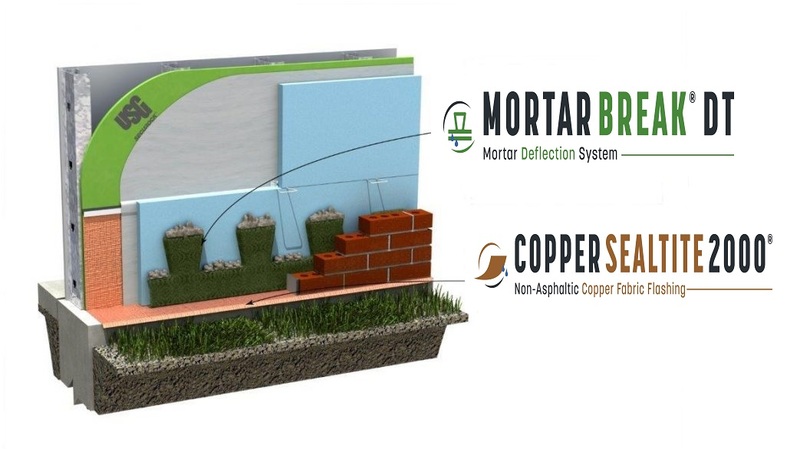 Strip-N-Flash® provides a waterproof barrier at flashing areas to prevent wall assembly leaks. Strip-N-Flash® is fully adhered to the substrate to prevent moisture migration behind the flashing. The unique rubberized nature of Strip-N-Flash® seals around fasteners. This article looks at stone design, highlighting case studies that demonstrate success with sandblast projects. It also examines new technologies that have improved detailing for stone manufacturers. When dealing with efflorescence, there are a few simple rules to remember.